Current Techniques in Canine and Feline Neurosurgery offers state-of-the-art, detailed guidance on performing neurosurgical techniques in dogs and cats. Well illustrated throughout, the book provides comprehensive information on neurosurgical techniques both basic and advanced. 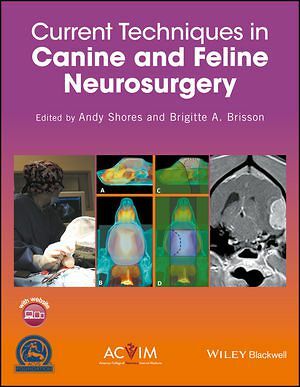 Taking a complete approach to veterinary neurosurgery, from indications and surgical anatomy to procedures and post-operative care, Current Techniques in Canine and Feline Neurosurgery is an up-to-date, complete reference for the veterinary neurosurgeon.